From 30.11.- 01.12. 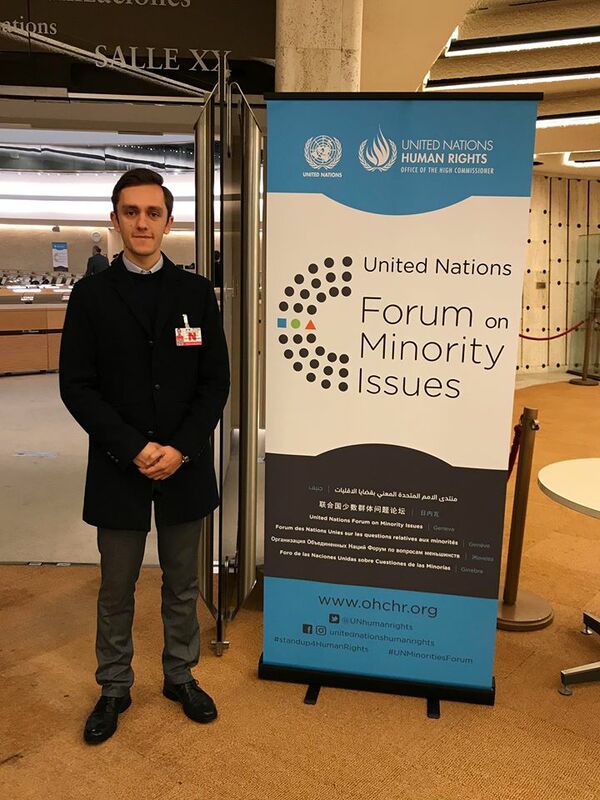 2017 the United Nations Office of the High Commissioner for Human Rights (OHCHR) organized the 10th Session of the Forum on Minority Issues in Geneva, Switzerland. YEN Vice President for External Relations, Zikel Anxhara was on spot to represent and talk about today’s issues of Europe’s minority youth. 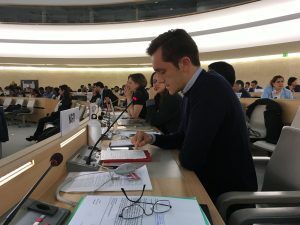 The Forum on Minority Issues of the OHCHR meets annually for two working days. The forum brings together state representatives and NGOs from all over the world and is a platform for promoting dialogue and cooperation to identify and analyze best practices, challenges, opportunities and initiatives for the further implementation of the Declaration on the Rights of Persons Belonging to National or Ethnic, Religious and Linguistic Minorities. YEN addressed the forum in the plenary with our statement and recommendations on the topic of “Inclusive Education to empower Minority Youth” and handed in our written recommendations on all 4 topics of the forum. 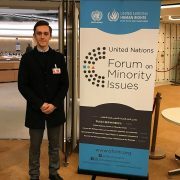 The Special Rapporteur on Minority Issues, Mr. Fernand de Varennes will present the final report on the thematic recommendations of the Forum to the Human Rights Council.